In a bowl, mash the avocado with a fork and add the lime juice, a drizzle of oil and salt. Wash and halve the tomatoes. Slice the onion very thinly. Strip cilantro leaves from stems. 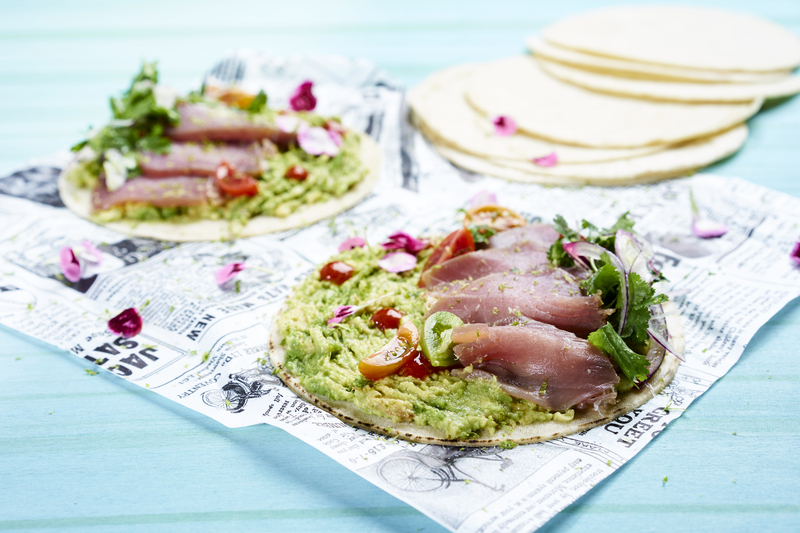 Lay the tortillas flat and fill with the avocado mixture, a few slices of tuna, onion, tomatos, cilantro, sprouts, lime zest, pepper and Kimchi sauce to taste.